and seasonality of water stored on or in landscapes (as surface water and soil water) is influenced by changes in hydroclimatic forcing is important from an ecosystem, agricultural and regional water availability viewpoint. I examine the various spatial and temporal scales at which these processes are of importance, both from a hydroclimatic and an ecosystem perspective. I use GIS, remote sensing and high-resolution land surface/hydrologic modeling techniques combined with observations to estimate regional energy and water budgets along with statistical and stochastic approaches to assess spatial and temporal changes. 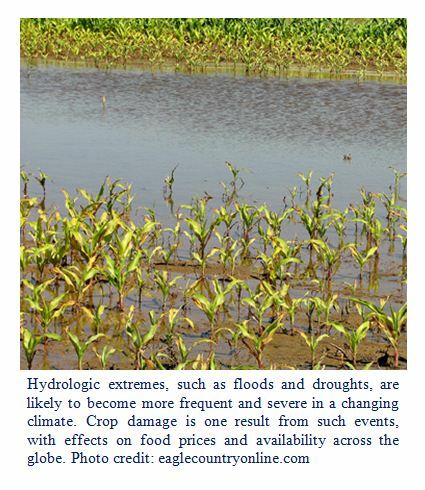 My research provides an assessment of the impacts climate change has on water resources within the Midwestern US and can serve as a basis for drought and flood risk management with applications in agriculture, urban planning and beyond. 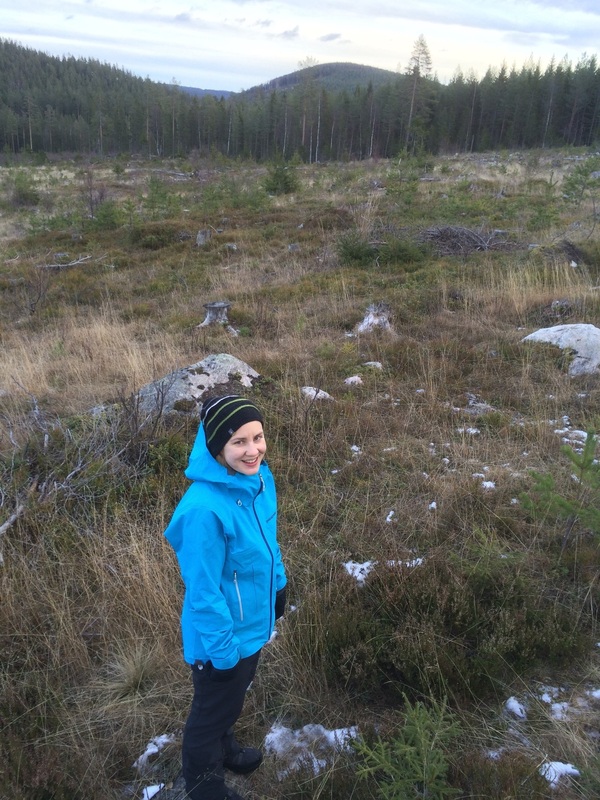 Growing up in Sweden, I have always been surrounded by an almost infinite supply of natural areas. The environmental consciousness of the country has largely influenced me and my personal values from an early age. My first school year, 1992, was the same year as the United Nations Conference on Environment and Development was held in Rio de Janeiro. The outcomes of that conference, and especially the Agenda 21, were integrated in my education in various aspects. I particularly remember being in an elementary school student show named Cabaret 21, where we sang about environmental issues facing the world. I started to realize that the idyllic forests and lakes I was surrounded by were threatened and that many parts of the world were a lot different from mine. After that, my educational choices have been easy, always focusing on natural sciences and the environment. The need for an interdisciplinary approach to environmental issues is clear. The Ecological Sciences and Engineering program at Purdue is offering an interdisciplinary platform for us students to broaden our views and collaborate with people from a variety of disciplines and cultures which I am convinced will help us address the challenges we will face after graduation. Giesler, R., S.W. Lyon, C.-M. Mörth, J. Karlsson, E.M. Karlsson, E.J. Jantze, G. Destouni, C. Humborg, 2014: Catchment-scale dissolved carbon concentrations and export estimates across six subarctic streams in northern Sweden. Biogeosciences, 11, 1-14, doi:10.5194/bg-11-1-2014. Liu, X., L.L. Biehl, E. Karlsson, A. Kumar, D. Niyogi. A land data assimilation system (LDAS) based dataset for regional agro-climatic assessments over the U.S. Corn Belt. American Meteorological Society’s 21st Conference on Applied Climatology, Boulder, CO, June 2014. Oral presentation. Karlsson, E. and X. Liu. A land data assimilation system (LDAS) based dataset for regional hydroclimatic assessments over the U.S. Corn Belt. Office of Interdisciplinary Graduate Programs Spring Reception, West Lafayette, IN, Apr. 2014. Poster presentation. Karlsson, E. and X. Liu. Introducing a new high-resolution agrohydroclimatic dataset. Purdue Big Data in Agriculture Symposium, West Lafayette, IN, Mar. 2014. Poster presentation. Logan, L.H., F. Hoover, C. Gibson, E. Karlsson, Y. He, S. Park. Building a sustainable city, Ecological Sciences and Engineering Symposium, West Lafayette, IN, Oct. 2012. Poster presentation. Destouni G., N. Basu, M.J. Cohen, H. Dahlke, F. Jaramillo, J. Jarsjö, J.W. Jawitz, J. Juston, E.M. Karlsson, A.D. Koussis, S. Lyon, K. Mazi, J. Mård-Karlsson, C. Prieto, S.C. Rao, Y. van der Velde, N. Vercauteren, Hydro-biogeochemical and environmental-management functions of wetland networks in landscapes. 9th INTECOL – International Wetlands Conference, Orlando, FL, June 2012. Oral presentation.